Mowing the lawn is essential to keeping your lawn healthy and free of disease and weeds. In addition, you want to have your grass at a reasonable level so it can receive its needed nutrients and sunlight. At some point, however, all of us have scalped our grass (cut it too low). While it might not seem like a big deal at the time, it can cause some major problems for your yard. In fact, it can keep the grass from receiving its vital nutrients, allow weeds a chance to grow, or even kill your grass. Grass requires the sun to make its food with photosynthesis. Whenever you mow your lawn too short, you are reducing the energy storage capabilities of the blades of grass. This keeps it from creating the energy it needs, and chokes it. If you are having trouble determining if you’ve scalped your yard, look at your grass and see if the stem is exposed. If you can see the stem (which will look brown) then you are scalping your lawn. Try keeping at least an inch on your warm-weather grass, and if you need to mow during cooler weather, keep 2.5 inches. Another general rule of thumb is to avoid regularly mowing on the lowest setting. What Makes Scalping Grass Worse? Remember, it’s better to have grass that’s slightly too tall than for it to be too short and dying. In addition, don’t bag your grass clippings, because leaving them on the ground allows them to add nutrients back into your lawn’s soil. This is known as grass-cycling. If you use this technique, however, try to mow when the grass is dry, since wet clippings will bunch together and keep your grass from getting any sunlight. Also, try overlapping your mowing path. Two inches should do the trick, and it keeps your lawn evenly and consistently cut. If you scalp your lawn, don’t worry. Just allow the grass to return to the height it was before, and always take off less than 1/3 of an inch each time you cut it. Be sure to deeply water the patch once per week. Maybe large swaths of your lawn are scalped and dead. If it is, then contact a Tulsa lawn company to restore it. We can over-seed, aerate, and fertilize your grass to return it to its proper condition. 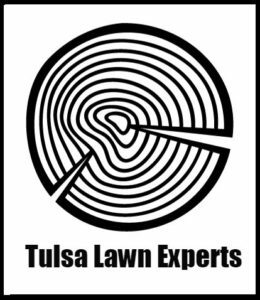 Additionally, if you’re having trouble with your mower, don’t own one, or are unable to mow, contact a Tulsa lawn service near you.